For storing and transporting finished work. 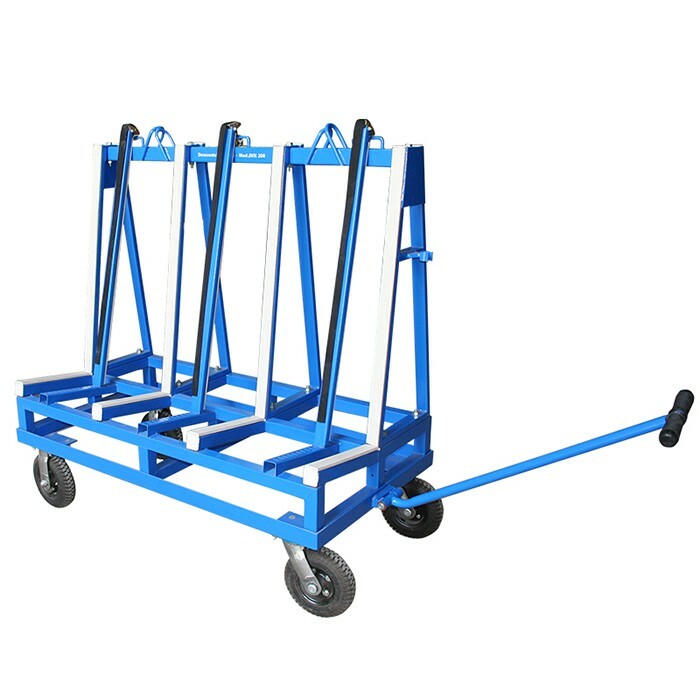 Ideal for transporting and storing material within the factory or transporting material to building sites. A common option is to have two 'A’ frames for one base. Frames can be loaded onto truck by forklift or crane. General: For storing and transporting finished work. Ideal for transporting and storing material within the factory or transporting material to building sites. A common option is to have two 'A’ frames for one base. Frames can be loaded onto truck by forklift or crane. Capacity: 750 kg Packaged Volume: 0.2710 M3. Net Weight: 88.33 Kgs. Gross Weight: 90 Kgs.